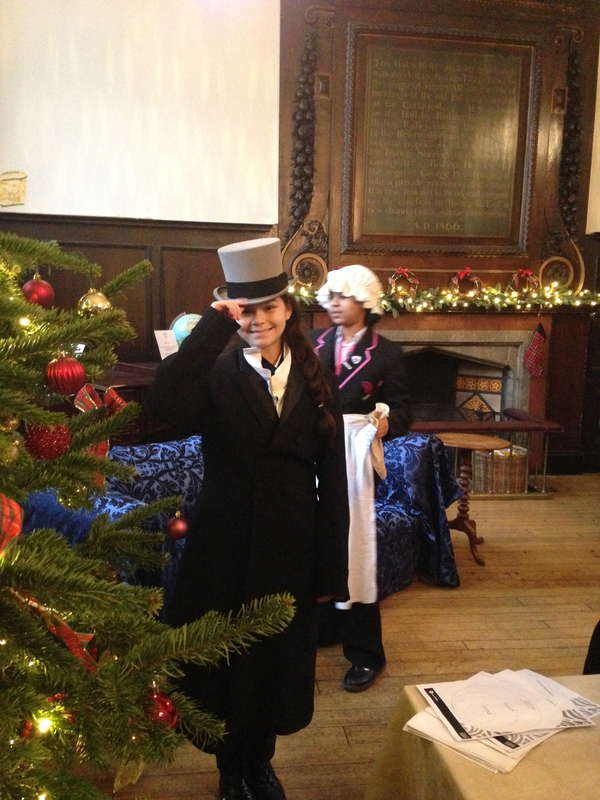 On Thursday 10th December 26 Year 8 students took a trip back in time to experience life in Victorian Fulham. They spent the afternoon at Fulham Palace where they had the chance to see how the residents of the palace would have lived. One of the highlights was the opportunity to try on a range of Victorian costumes, from servants outfits to the lady of the house’s formal gown. Salma Essafi commented on how awkward it was to move around in a crinoline, particularly trying to sit down! We then got to play a mystery object guessing game before examining first hand evidence about the families and staff who had worked at the palace during that era. It was a fantastic way of bringing the past to life and one that the students will not forget.